So David Cameron is finally starting to make good his pledge to take the Conservatives out of the European People’s Party in the European Parliament, as covered by the FT Brussels blog, Richard Corbett and Iain Dale. There’s of course a lot of bluster about the whole thing, and plenty of inaccuracies too. Here’s an effort to set things straight. Firstly, the Conservatives are part of the EPP-ED Group in the European Parliament, and they will leave this group. 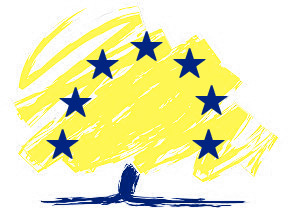 The Conservatives are part of the ED (European Democrats) adjunct to the group, meaning that where the EPP and Tory manifestoes diverged at the 2004 elections the Tories are not obliged to follow the complete group line; in practice the Tories vote with the EPP on 80-90% of legislation currently. The Conservatives are not part of the European People’s Party so they would not be bound by a common manifesto for the EP elections as agreed by the EPP party. So strictly speaking the Tories are leaving the EPP-ED Group in the European Parliament, not leaving the EPP. This may sound like a technicality but in Brussels it’s rather significant as the size of a group (not a party) determines the allocation of the important jobs in the European Parliament, and the degree to which the Tories are bound by EPP policies has been over-stated. This leads us on to what the Conservatives will lose by leaving the EPP-ED. All the juicy jobs in the EP – President, Vice Presidents, Committee Chairs, Rapporteurs – are dished out according to the size of a political group. UK Tory Neil Parrish is currently Chair of the Agriculture Committee – he only has this job because the Tories are part of the EPP-ED. Essentially by leaving the EPP-ED the Tories would limit their ability to influence legislation in the EP as the positions of influence would be allocated to other centre-right MEPs. Cameron of course intends to create a new political group as a replacement for the EPP-ED. This needs 25 MEPs from 7 Member States (not 6 as has been widely reported – those are the old rules), and there is a complete lack of parties in other European countries that believe in the same sorts of things that the Tories do. ODS from the Czech Republic are cited as the most likely allies, but its leader Topolanek says the party has not ruled out the possibility of staying in the EPP. The party’s founder, Vaclav Klaus (President of the Czech Republic) is a climate change denier – does that fit Cameron’s environmental policies? Other possible Tory allies are even more unsavoury – Law & Justice (PiS) from Poland, the party of the Kaczyński twins, has a questionable record on issues such as gay rights and statements about the death penalty. Lega Nord and the Dansk Folkeparti are even more unsavioury. LabourList is even tougher on this, but they get their facts wrong – ODS are in the EPP-ED currently, while PiS, Lega Nord and Dansk Folkeparti are all members of the UEN Group in the EP, a group that is essentially nastier and more conservative than the EPP-ED. So is it better for Cameron to team up with a bunch of weird traditionalists and regionalists in the EP, or keep his MEPs in isolation in Brussels? On balance he should probably do the latter if – as seems obvious – he cares only about presentation in London rather than about influence in Brussels. MEPs without a group can speak and can vote, but cannot become committee chairs and are highly unlikely to be rapporteurs. Essentially this is a battle between symbolism and influence, and symbolism looks to have triumphed. Trooper, you’re in denial. Only Westminster has more influence over British law than the EU. What other places did you have in mind? The UN? The Commonwealth? The question is not whether you like that state of affairs – the question is whether Cameron is being responsible in reducing his party’s influence in such an important body. Is this really what his voters want? No, cos I’m not eurosceptic or tory. The same can be said of numerous other places. It’s not about believing in or not believing (not talking about Santa here). That is a debate for another time perhaps. The point is that whether you like it or not important decisions are taken in that place….. Most ordinary people are, at the very least, ‘eurosceptic’. People like you, who believe in the laughable European Parliament, are in a tiny minority. Perhaps you are the real fanatics. In response to eurocentric yes the British interest is represented in the Council – but of course it can be helped along and advanced by British MEPs in the European Parliament so therefore if those MEPs (be they Tory, Labour or even Lib Dem) lose influence then that naturally weakens things. Of course on many (if not most) issues it is not a case of there being a defined national interest and division occurs along left -right lines but there are some important issues where a national interest can be defined. I just wonder if left alone the H block will take over and Tories will end up like UKIP, voting against or abstaining on nearly everything and not being taken seriously. The British national interest is represented in the Council, so I don’t really think this will damage British national interest. * Or is the EPP-ED a vital component of British European policy? If the Tories and the EPP vote the same way most of the time anyway, then I doubt that the center right as a political force in the EP will be damaged too much by this; it will be just the Tories who loose influence and networking opportunities. Besides committee concerns, the Tories will be removed from the traditional Grand Coalition in the EP. If a party can’t influence the stance of the big 2 (perhaps the big 3 in some circumstances), then it becomes harder to influence the EP consensus. It will damage the interests of Tory voters if the Tories can’t form a group, or voters generally who would like to vote for a party who will represent them effectively in the center right of the EP. *Actually, this could be true, if you count the ability for governing (and possibly future governing) parties to network. This is important for (Irish opposition party) Fine Gael, who got to host an EPP meeting in Ireland last year – meaning that Fine Gael leader Enda Kenny got equal (or more) access to Angela Merkel, etc than Taoiseach Brian Cowen. Good post, but isn’t it a question of Tories in London favouring symbolism ofer those in the European Parliament (largely)? How much does Labour care about influence in Brussels? The main message in their Euro Election Campaign is still a mystery to me. I think they care about winning more seats than the Tories and the LibDems but that’s about it as far as I can see. I wish I was wrong about this. Couldn’t agree with you more John. I am certainly not a Tory but it is a shame that they will lose all their influence. This will inevitably be detrimental to the British national interest that so many of their MEPs purport to represent. Weak leadershhip from Cameron if you ask me – caving in to the eurosceptic fanatics in his party.